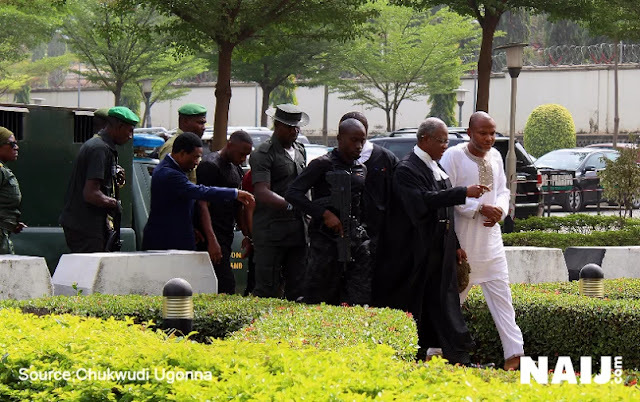 Justice John Tsoho of the Federal High Court in Abuja few days ago denied Nnamdi Kanu and two of his associates bail on the grounds that Kanu was a threat to national security and as such could not be granted bail. 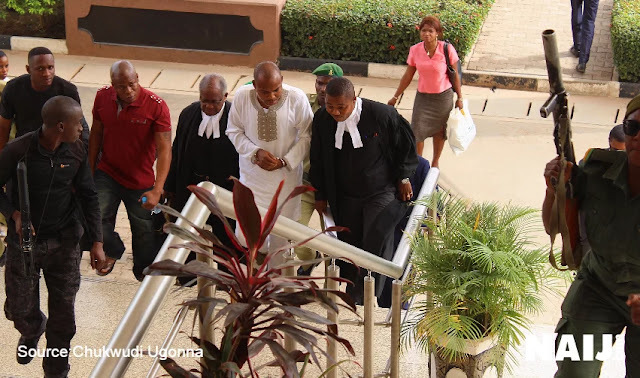 While granting an accelerated hearing, the Judge added that the accused might jump bail because of his dual citizenship and ordered that he and the others be remanded in Kuje prisons pending his trial for alleged treason, which he then fixed for 6th to 12th February 2016. Kanu is the founder of Radio Biafra and leader of the Independent People of Biafra (IPOB), a group seeking self-determination and agitating for a separate State, comprising the southeastern States of present day Nigeria; he has been in government custody since last October. The Buhari Administration accuses him of running an underground Radio Station that spreads hate messages in its agitation for a separate State. He had twice been granted bail by the Courts but the Administration refuses to acknowledge the Courts rulings, and has declined him bail. Now, although I have been tempted to feel that the President may have misspoken as a result of improper prep and mishandling by his media team; still, these are far reaching statements by the Commander in Chief of the nation on one hand, and the Justice of a Federal high Court on the other hand. If it is indeed true that Kanu got into the country without using either of his Passports, how then did he get in? That already, is a sweeping indictment of the Nigerian Immigration Service and the Nigeria Customs Service by the President, and by the way, those Agencies are under the President’s watch. The other thing here is how did Justice Tsoho come to the conclusion that Kanu is a threat to national security and will jump bail (because of his dual citizenship) when the man is yet to be tried? The mere fact that relations between Nigeria and Great Britain are good, and both nations has an existing extradition agreement indicates the difficulty Kanu faces were he to attempt jumping bail to that country as he will certainly be extradited back to Nigeria. So, on the strength of the combined statements of the President and Justice Tsoho, it would appear that Kanu had already be adjudged guilty and convicted even before he has the opportunity to defend himself in Court; this seems to me to be a gross violation of the principles of natural justice, and the provisions of the nation’s Constitution which presumes a man innocent until proven otherwise by the Justice System. As the trial hopefully continues this week, it is my hope that justice will not just be done; it must be seen to be done. Let the law take its course, and let the rule of law prevail; but we must also come to see that the rule of law, like freedom, is not absolute; it is always within a predefined limit. And to this end, I call on Justice Tsoho to excuse himself from the trial, and request that another Judge take over from him as he already faces a crisis of trust because of his wide reaching and weighty statements. If he doesn’t do that, it is unlikely that the parties to this case will accept the verdict of the trial. And I also call on the Buhari Administration to maintain neutrality so that it won’t be seen to be influencing the outcome of the trial.